Our passion is wood. 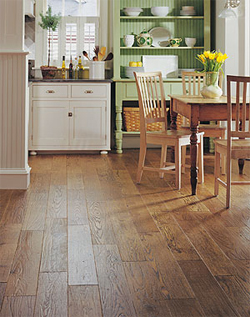 For years, we have been making beautiful hardwood flooring and bringing warmth, comfort and enduring elegance into homes. TimberMill® brings back hand-tooled artisan-crafted wide plank floors that celebrate the unique beauties of natural wood and times past. We strive for a synthesis of craftsmanship, time-honored designs and proven state-of-the-art technologies to bring you the floors that join historical traditions with today’s lifestyle.